Product #5566 | SKU A57AWS | 0.0 (no ratings yet) Thanks for your rating! The Shure A57AWS Locking foam Windscreen is designed with acoustically transparent material to reduce unwanted breath and wind noise without affecting the sound quality. 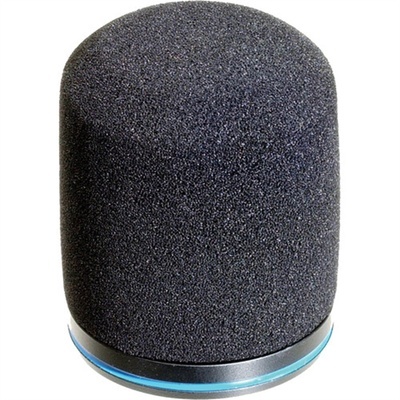 It is particularly effective in reducing pops and ticks caused by talking or singing closely into the microphone as well as reducing wind noise when using the microphones in outdoor applications. Locks securely to the microphone with a side set screw. For use with Beta57A microphone. Available in black. It may also be used with discontinued Shure model Beta57.